Unicycle Rose: Every accomplishment begins with a (carrot) decision to try! Every accomplishment begins with a (carrot) decision to try! Speaking of carat diamonds, there’s been another carrot-drama in our life. You see, Lucas wanted to attend the Warped Tour in Ventura (it sounds like a horrible event to this old broad, but is supposedly awesome if you are sixteen). However, the concert date fell at the same time that our church takes a weeklong water-ski camping trip called Fryathon that he loves to attend. Torn with which event to choose; an all day concert watching over one hundred bands, or, week at the lake with all his peeps, we decided to dangle a big carrot in front of him, and help him decide. We told him that if he maintained the grades he received at the semester (he did great! ), he could go to the Warped Tour that would be traveling through Pomona at the L.A. Fairgrounds, (this city is located pretty much in the bowels of Los Angeles) right before Fryathon starts, thus doing BOTH. 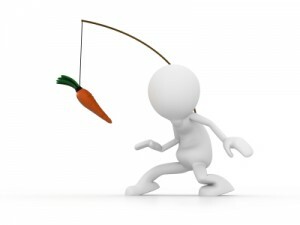 The carrot would be handed over if he could meet the goal. That January day we discussed this, he took some time to think about it. I went into his room as he lay on his bed, asking him what he thought. His eyes welled with tears! He so badly wanted to try but was sure that the second semester of geometry and Spanish might possibly kill him. He wasn’t sure he could meet the challenge. After some discussion and encouragement, he decided he'd push himself, although unsure. Every accomplishment begins with the decision to try, right? So, he started to run like a horsey after that big carrot that dangled in front of him for months. This last week of school and finals, the Warped Tour/Carrot hung larger than ever. He ran the good fight for Spanish and Geometry, but Chemistry lagged. He had to receive a final grade of an A- and he was a mere tenths of a percentage away. The final he took today decided that now five-month-old carrots future! Of course,I wanted him to succeed, but was leery about spending the night in Pomona with him and two friends. I cajoled Overboard to come along, as I knew this "super senior citizen" could protect us from the crime and violence that thrive in that dodgy dangerous town. Ha! He squeaked out a high enough grade on his final and pushed that B+ up over the hump to an A-. He was estatic, and we are proud of him! So, we are soon off to the bowels of L.A.! Note to self: the Pomona crime rate is higher than the California average crime rate and is higher than the national average crime rate! Through these last months of chasing the carrot Lucas learned that he is capable of much. His wish of going to Fryathon and Warped Tour will come true, while the thought of this makes me wish I carried a handgun. This is one carrot sure to leave an aftertaste of extreme caution and anxiety. Stay tuned.